Congratulations, you finished your Bachelor’s in Canada and want to study for a Master’s in another country, or maybe you finished your Master ‘s and want to continue onto a PhD at a university outside Canada. Over the years we have helped thousands of Canadians that want to continue their studies abroad. Our services have also assisted international students that have studied in Canada and want to continue their studies in their home country or another country. Whether it’s getting your documents ready for the United Arab Emirates (UAE), Qatar, Kuwait, Saudi Arabia, Mexico, The Netherlands, France, Austria, Italy and Spain we can assist you. Talk with one our experienced agents about where and what country you are planning on attending university so we can begin to get you ready to continue your education regardless of where you want to go. Before leaving Canada you will be asked to authenticate and legalize various documents for the university application process. The most common types are your Degree, Transcripts, Diploma, Police Check, Birth Certificate or Marriage Certificate if your spouse is coming with you. We understand that it can be a confusing and time consuming process not to worry we are here to make the process easy for you. To help clarify what is involved and how we can help let’s talk about the authentication and legalization process. Step one is authentication at Global Affairs Canada located in Ottawa. 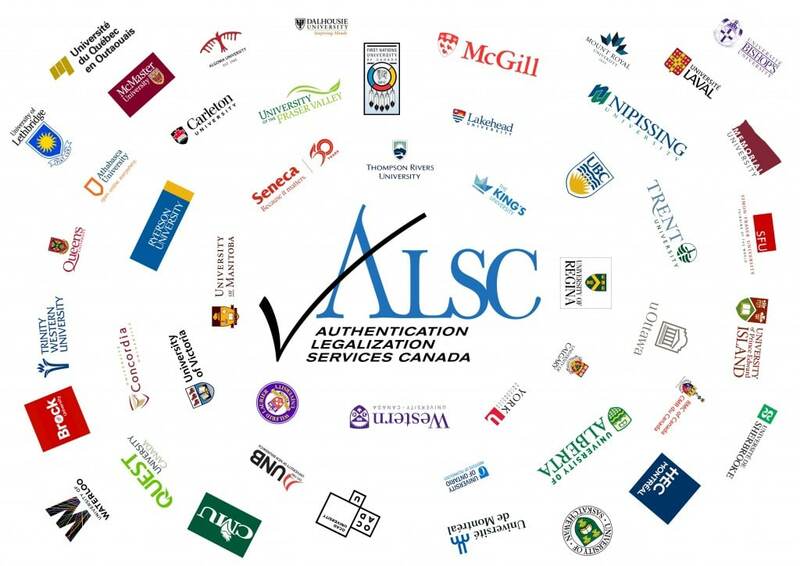 If your Degree, Diploma, Transcripts or Certificate has been issued by either an accredited Canadian University or accredited College, Foreign Affairs can authenticate the original document, or as an alternative they can authenticate a notarized copy. The same applies to your Birth Certificate or Marriage Certificate, given that the document is issued by Vital Statistics. For information on how to order a Vital Statistics document click here. If you prefer not to authenticate and legalize the original documents, we can make notarized copies for you ask us about our notary services. Foreign Affairs can authenticate your original Police Check with finger print verification issued by the RCMP Headquarters in Ottawa. All other Police Checks, this includes RCMP Police Checks issued by the local RCMP outside of Ottawa, will need to be notarized. We are able to assist you with this to make the process as easy for you as possible. Foreign Affairs can authenticate your documents in usually 15-25 business days when you deal with them directly. We can shorten this to either 1, 3 or 10 business days to assist you meeting your timeline. Once your documents are authenticated they are ready for the next step, which is legalization at the Embassy either in Ottawa or outside of Ottawa. This will depend on where you attended university in Canada but not to worry one of our experienced agents will help you confirm your requirements during your consultation. Every Embassy has its own requirements when it comes to legalizing educational documents. If the requirements are not met, this could result in non-processing or other unnecessary delays. Embassies sometimes have different speeds of legalization which can influence your timeline. With our consultation, we can assist you in choosing the right speed that will meet your specific needs. With more than 20 years of experience, we guarantee that your documents will be prepared properly so that the University abroad will have no problems accepting your application. Depending on the country legalization may also be called Apostille or Attestation but is accepted as the equivalent. If you need Apostille, Attestation, Authentication or Legalization services for your Canadian documents to continue university abroad we can help.